One of the company's cars hit and killed a woman in Tempe, Arizona last week. 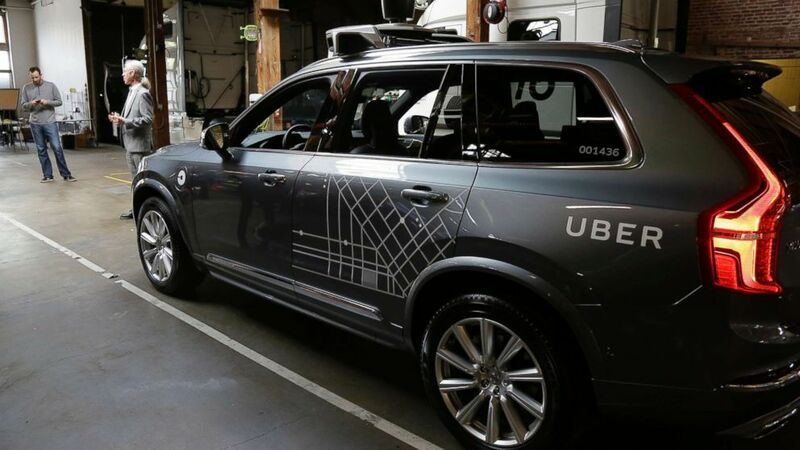 Arizona's governor announced on Monday he was suspending Uber from testing autonomous vehicles in the state a week after a woman was hit and killed by one of the company's driverless cars in Tempe. Gov. Doug Ducey released a letter he wrote to Uber, referring to the video of the accident released on March 21, saying the Arizona Department of Transportation would be suspending Uber's "ability to test and operate autonomous vehicles on Arizona's public roadways." "I found the video to be disturbing and alarming, and it raises many questions about the ability of Uber to continue testing in Arizona," Ducey wrote. "As governor, my top priority is public safety. (Eric RisbergAP, FILE) In this Dec. 13, 2016 file photo, an Uber driverless car is displayed in a garage in San Francisco. "Improving public safety has always been the emphasis of Arizona's approach to autonomous vehicle testing, and my expectation is that public safety is also the top priority for all who operate this technology in the state of Arizona," he continued. Uber, which had already suspended operations on its own, said it would "keep a dialogue open" with Arizona. "We proactively suspended self-driving operations in all cities immediately following the tragic incident last week," the company said in a statement. "We continue to help investigators in any way we can, and we'll keep a dialogue open with the Governor's office to address any concerns they have." 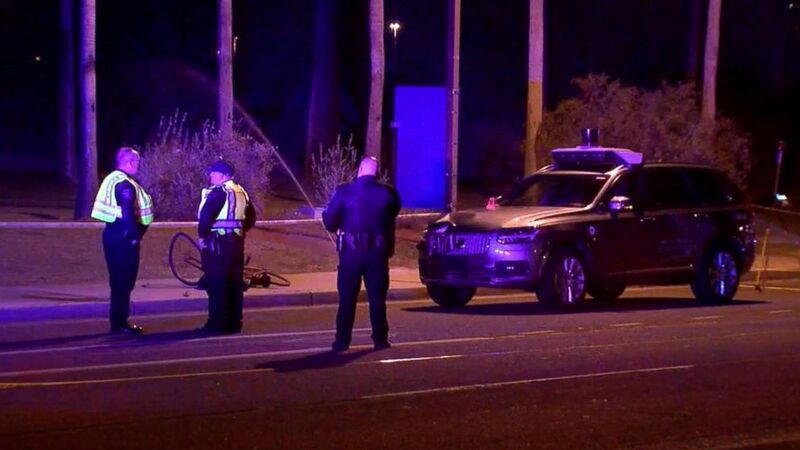 (ABC15 Arizona) Phoenix police investigate the scene where an Uber self-driving vehicle struck a woman in Tempe, Ariz., March 19, 2018. Elaine Herzberg, 49, was walking her bicycle across an intersection late in the evening of March 18 when she was struck by the autonomous vehicle, police said. She died of her injuries at a local hospital. It was reportedly the first fatality in the U.S. involving a self-driving vehicle. An investigation into the accident by Uber and law enforcement is ongoing. There are currently 22 states which have passed laws allowing for the use of autonomous vehicles, in some form, according to the National Conference of State Legislatures, which tracks state laws. Another five state governors have issued executive orders, including Arizona, according to the NCSL. Ducey signed an executive order initially in 2015 and then updated it just weeks before the accident to bring it further up-to-date with federal laws. Intel, Waymo and General Motors also test driverless cars in Arizona, according to The Associated Press.